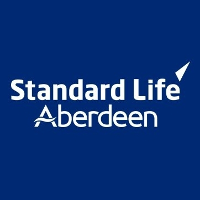 Shares in Standard Life Aberdeen PLC with company EPIC: LON:SLA has climbed 3.82% or 8.59 points in today’s trading session so far. Investors have remained positive throughout the session. Range high for the period so far is 234 meanwhile the session low reached 224.45. The amount of shares exchanged has so far reached 3,502,500 whilst the average number of shares exchanged is 9,642,319. A 52 week share price high is 445.06 which is 220.21 points in difference on the previous days close and a 52 week low being 219.1 which is a variance of 5.75 points. Standard Life Aberdeen PLC has a 20 day moving average of 261.3 and now a 50 day moving average now of 281.07. The current market capitalisation is £5,929.48m at the time of this report. The stock is traded in GBX. Mcap is measured in GBP. This article was written with the last trade for Standard Life Aberdeen PLC being recorded at Wednesday, December 12, 2018 at 12:02:40 PM GMT with the stock price trading at 233.44 GBX. The stock price for Smith & Nephew plc ticker lookup code: LON:SN has moved up 1.34% or 20 points during today’s session so far. Investors have remained positive during the trading session. The high for the period has peaked at 1518.5 dropping as low as 1500. Volume total for shares traded at this point reached 396,363 with the average number of shares traded daily being 3,420,977. The stock 52 week high is 1548.5 equating to 53 points difference from the previous days close and putting the 52 week low at 1173 making a difference of 322.5 points. Smith & Nephew plc has a 20 day moving average of 1436.13 with a 50 day moving average at 1375.33. This puts the market cap at £13,333.33m at the time of this report. All share prices mentioned for this stock are traded in GBX. Mcap is measured in GBP. This article was written with the last trade for Smith & Nephew plc being recorded at Wednesday, December 12, 2018 at 12:02:17 PM GMT with the stock price trading at 1515.5 GBX. The trading price for SSE PLC ticker code: LON:SSE has moved up 1.04% or 11 points during today’s session so far. Investors have so far held a positive outlook while the stock has been in play. The high for the period has reached 1076 and hitting a low of 1054. Volume total for shares traded during this period was 897,174 whilst the daily average number of shares exchanged is just 4,709,873. The 52 week high for the share price is 1449.5 some 388 points difference from the previous days close and the 52 week low at 1032 making a difference of 29.5 points. SSE PLC now has a 20 SMA of 1123.05 and the 50 day moving average at 1141.83. The current market capitalisation is £11,009.62m at the time of this report. Share price is traded in GBX. Mcap is measured in GBP. This article was written with the last trade for SSE PLC being recorded at Wednesday, December 12, 2018 at 12:02:24 PM GMT with the stock price trading at 1072.5 GBX. The share price for St. James’s Place plc found using EPIC: LON:STJ has gained 1.33% or 12.4 points in today’s trading session so far. Traders have remained optimistic while the stock has been in play. The periods high figure was 949.8 dropping as low as 929.4. The volume total for shares traded up to this point was 382,065 with the daily average at 2,121,620. The 52 week high for the shares is 1279.5 around 345.9 points different to the previous business close and a 52 week low sitting at 918.6 a difference of some 15 points. St. James’s Place plc has a 20 SMA of 1026.51 and now its 50 day moving average at 1044.76. This puts the market capitalisation now at £5,008.48m at the time of this report. The share price is in GBX. Mcap is measured in GBP. This article was written with the last trade for St. James’s Place plc being recorded at Wednesday, December 12, 2018 at 12:02:24 PM GMT with the stock price trading at 946 GBX. 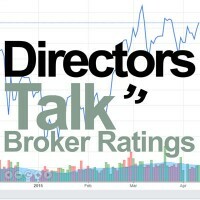 The stock price for Standard Chartered PLC with ticker code: LON:STAN has climbed 2.78% or 16.4 points during the course of today’s session so far. Traders have remained optimistic throughout the trading session. The period high was 607.6 while the low for the session was 585.7. Volume total for shares traded during this period was 1,394,009 whilst the average number of shares exchanged is 8,495,336. The 52 week high for the shares is 864.2 which is 274.7 points difference from the previous close and the 52 week low at 514.2 which is a variance of 75.3 points. Standard Chartered PLC now has a 20 SMA of 609.25 and now a 50 day moving average now of 587.13. This puts the market capitalisation now at £20,163.84m at the time of this report. All share prices mentioned for this stock are traded in GBX. Mcap is measured in GBP. This article was written with the last trade for Standard Chartered PLC being recorded at Wednesday, December 12, 2018 at 12:02:24 PM GMT with the stock price trading at 605.9 GBX. The trading price for Taylor Wimpey plc company symbol: LON:TW has increased 2.28% or 3 points throughout the session so far. Market buyers are a positive bunch while the stock has been in play. The periods high figure was 134.7 dipping to 129.65. The volume total for shares traded up to this point was 4,026,566 with the average number of shares traded daily being 19,212,704. 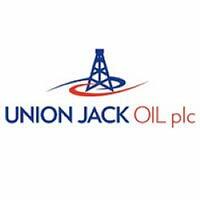 The 52 week high price for the shares is 211.9 around 80.3 points different to the previous business close and a 52 week low sitting at 127.8 a difference of some 3.8 points. Taylor Wimpey plc now has a 20 SMA of 146.58 with a 50 day moving average now at 156.48. Market capitalisation for the company is £4,413.68m at the time of this report. The share price is in Great British pence. Mcap is measured in GBP. This article was written with the last trade for Taylor Wimpey plc being recorded at Wednesday, December 12, 2018 at 12:02:21 PM GMT with the stock price trading at 134.6 GBX. Click SLA SN SSE STAN STJ TW for the full archive.